Do you want to look and feel amazing without a care in the world on your wedding day? “We had the pleasure of having John photograph our wedding. He did such an amazing job at capturing many special moments of the day. We often look back at the photos and can feel ourselves back in those moments and reliving those emotions. John is truly a very gifted photographer and is passionate about his love for capturing beauty in life and people as they are naturally. He has a very down to earth personality and a lively spirit that shows his passion for life and love in what he does. He is also someone you can feel immediately comfortable with and at ease around. 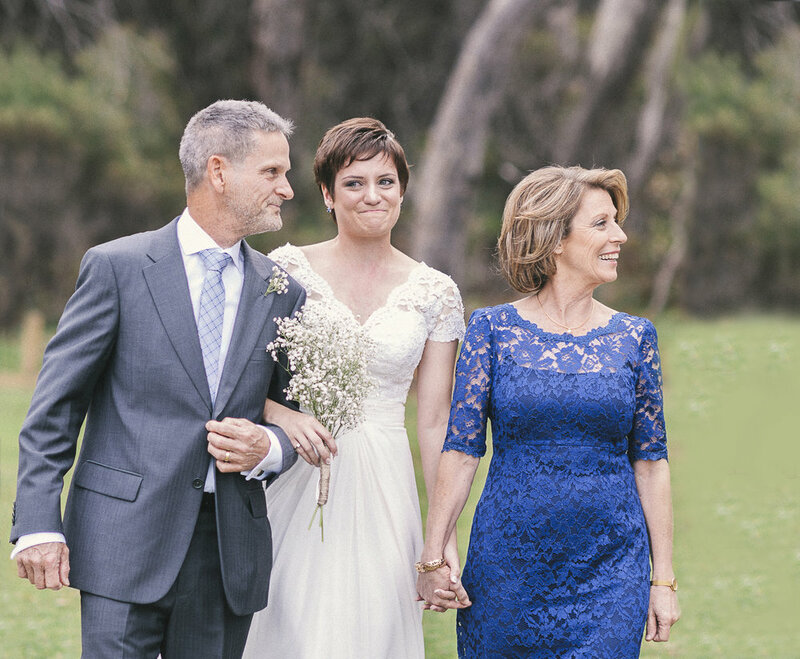 Melissa and Daryl Maddin, Perth, Married at Bunker Bay. Do you want an experience and photos beyond your wildest dreams? My expertise in photographing weddings will make this possible. What gives me the credentials to help you? If I had to choose a photographer for my wedding that was only interested in posing me all day I would rather not have one at all. I understand why some people "do not like having their photo taken." In the last fifteen years we have refined our "in the moment" style of photographing weddings. By understanding our clients personalities we can photograph genuine moments that reflect who they are. All they have to do is be themselves and I will do the rest. I love people and having fun, I can put the most tense person at ease so they look their best. I will let your wedding day flow naturally, photographing each moment as it happens. I love to capture the genuine emotions and exchanges between people. My extensive organisation and planning allows my clients to concentrate on the fun and laughter without having a stress in the world. I will direct proceeding only when required. Your wedding day will absolutely fly by, my passion is to ensure that you have a memory of all the moments you got to see and some you didn't. Your own unique story to cherish. My nine steps have been carefully created so every client receives the very best experience possible and most importantly, I deliver photographs that will help you to relive every moment. If you want a hassle free wedding day full of fun and laughter and photographs that capture all of the moments as they happen then I am the perfect fit for you. 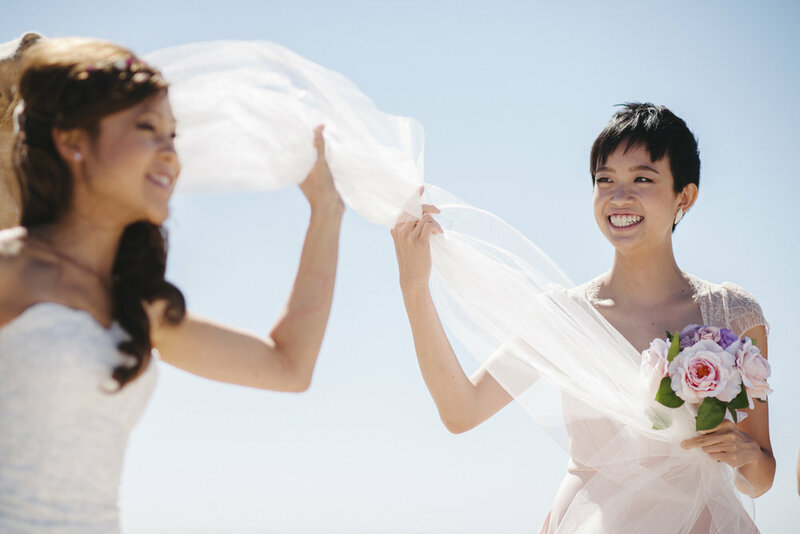 By the time your wedding comes around your wedding photographer will feel more like a friend. Putting everyone at ease, creating spontaneous fun moments, directing when required and letting your day flow naturally. Your initial chat puts you at ease and makes planning your wedding seem simple and easy. My expertise in natural weddings will offer you fantastic ideas that will benefit your wedding experience. Your engagement photo session will give you a massive confidence boost. Experience how fun and easy it is to work with me and how fantastic you both look. See how amazing, happy and natural you look together in your engagement photos while we work together creating your wedding photo timeline and directed photo list. Two weeks before your wedding you have a chat on the phone with me, your photographer to check over things and answer any of your questions. You will receive Sneak Peak Photos within 24 hours of your wedding day. Your photographs are professionally edited by our team within seven working days of your wedding. Your Wedding Premiere Viewing is when you see your wedding photos for the first time. A magical experience as you see your wedding memories in a cinematic slideshow. I will enjoy translating your wedding story into a bespoke wedding album for you, delivering it to you as quickly as four weeks from your wedding date so you can show your friends and family. “John's friendly and relaxed attitude helped us and everyone around us feel so at ease on our wedding day, and it made the formal session of photos thoroughly enjoyable. Sebastian and Cleo Ryan, Perth, Married at Margaret Rivers Secret Garden. “John is a fantastic photographer that will capture every moment in perfect detail. We were amazed to see how much he actually got whilst never being in the way. All of our guests commented on how fantastic he was. His prices are dearer than a lot of photographers in the area but we would not hesitate to pay it again and again because of the quality you get. John and ErinGray, Perth, Married at Meelup Beach.